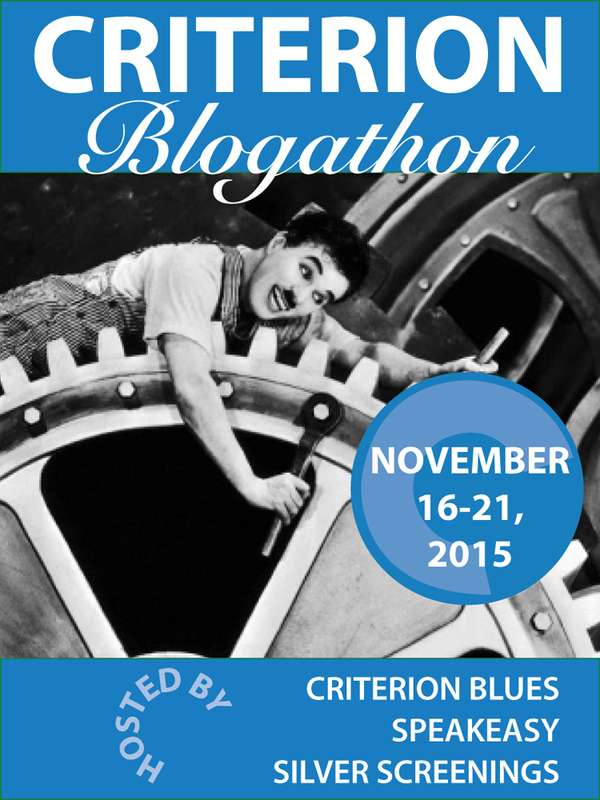 This post was written for the epic Criterion Blogathon sponsored by?Criterion Blues,?Silver Screenings, and?Speakeasy, running from November 16-21 with more than 170 entries (!). Do yourself a favor and check out the roster?it?s amazing, it?s colossal, it?s? really great. It?s hard to write?about?Lonesomenot because it?s obscure or difficult but because it?s all motion, and language feels static and clumsy, too earthbound and abstract to convey the movie?s exuberance and invention. Here is what you need to know about?Lonesome: It is one of the most beguiling movies ever to come out of Hollywood or anywhere else, at any time. 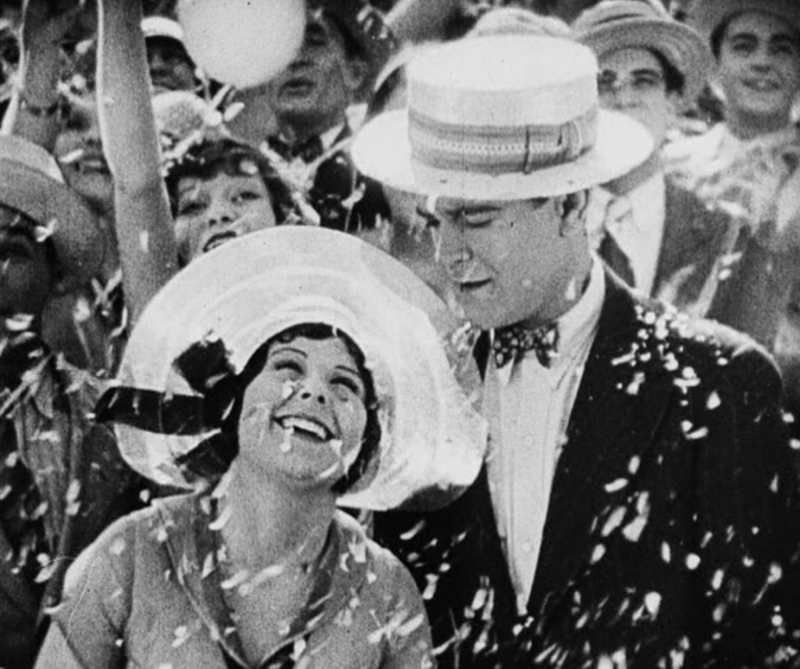 Most of us won?t be familiar with its stars, beauty-contest winner Barbara Kent and vaudevillian and sometimes movie actor Glenn Tryon. The only name and face I recognized was Andy Devine, who appears in one brief scene. 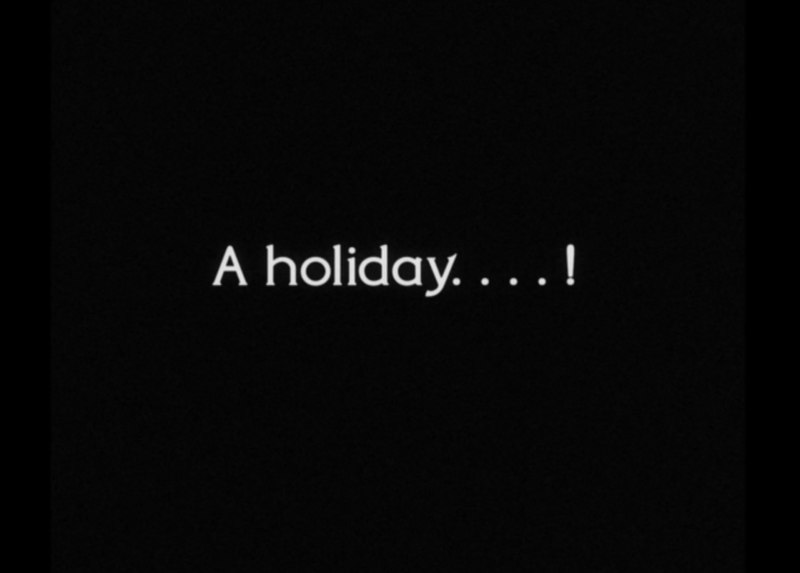 Lonesome?was directed by another household name (not): Hungarian ?migr? Paul Fejos, who in his four years in Hollywood made several extraordinary?movies including this one before splitting and returning to Europe, unable to stand any more of Hollywood?s much-vaunted phoniness. Like they say about the weather, everybody talks about it but nobody does anything about it. Fejos did?he shook the desert off his shoes and made some more features in Hungary before finding his real metier as a globe-trotting ethnographic documentarian. 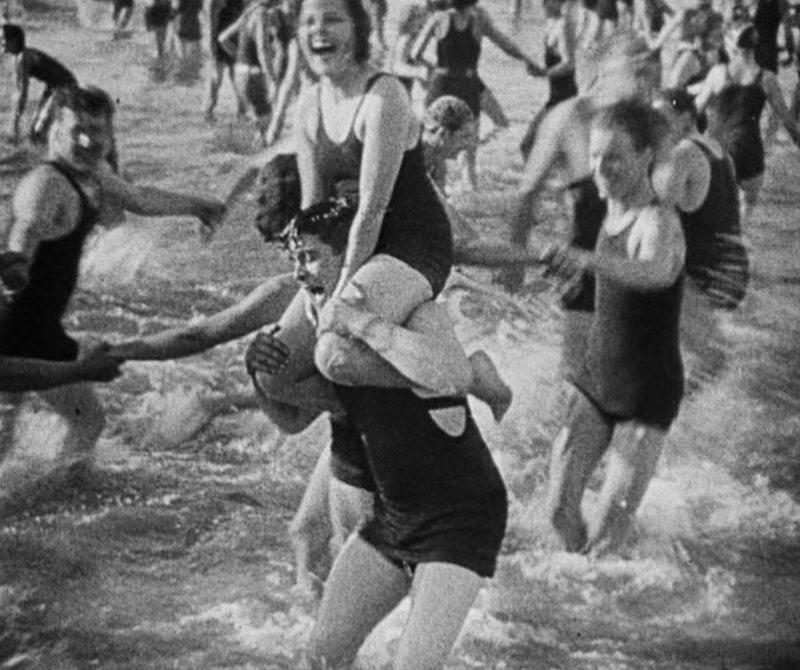 The story is simplicity itself: Jim (punch-press operator) and Mary (switchboard operator), both work and live in New York City, where they are isolated in their cold-water flats?and surrounded by teeming crowds everywhere else. 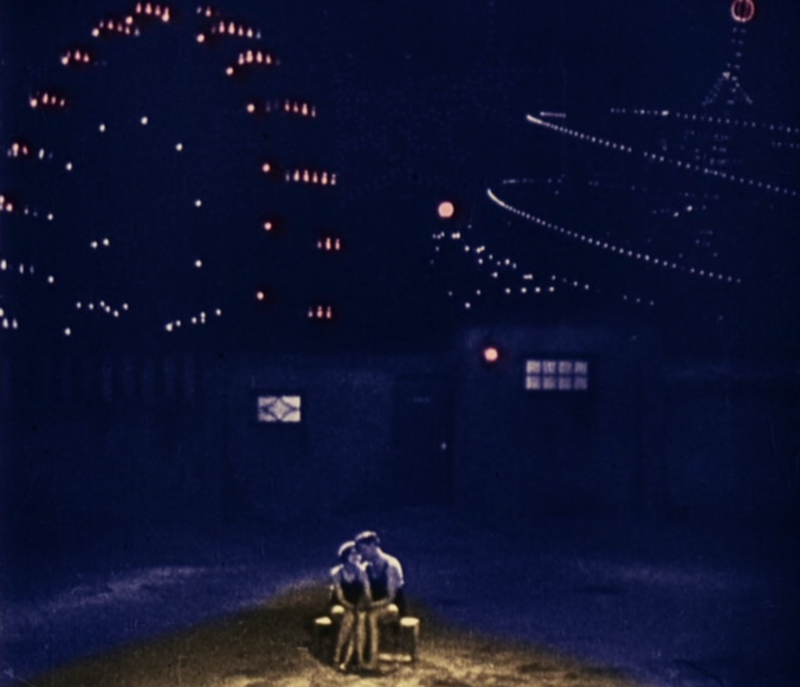 It?s 4th of July weekend, and both of them decide to have some fun at Coney Island where?they meet, flirt, swim, exchange photo booth tintypes (but not last names), and dance in a mobbed ballroom to Irving Berlin?s ?Always,? so enchanted that they forget the crowd and see only each other. But?they get separated, vainly and desperately?searching for each other in the crowd, until a sudden thunderstorm empties the park, and they give up and go back to their rooms, sodden and brokenhearted. That?s not quite the end, but if you haven?t seen it I?ll save the spoiler for the photo essay (below). 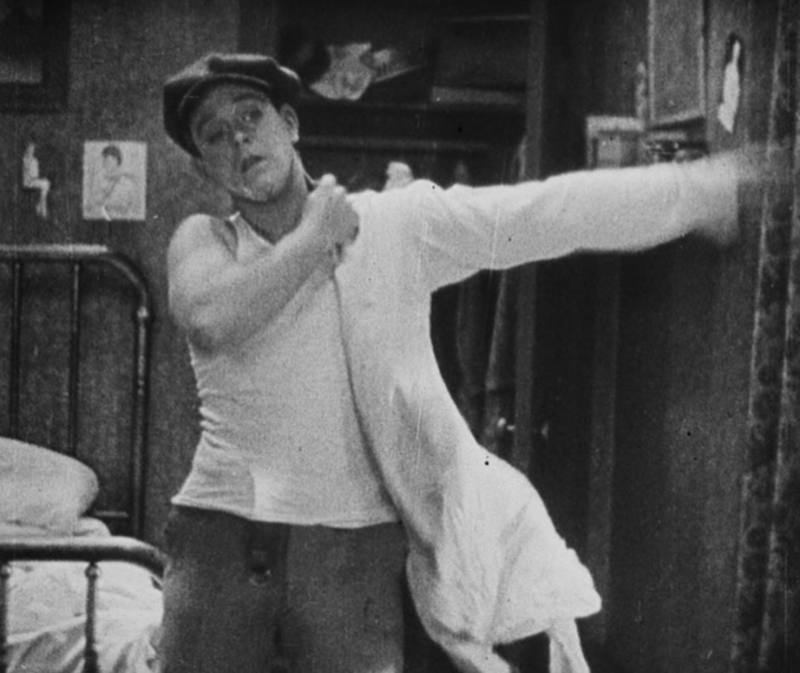 Lonesome?came into being at a particularly fascinating moment in moviemaking?that wildly chaotic period when sound had suddenly entered the picture (you should pardon the expression) and was upending everything. 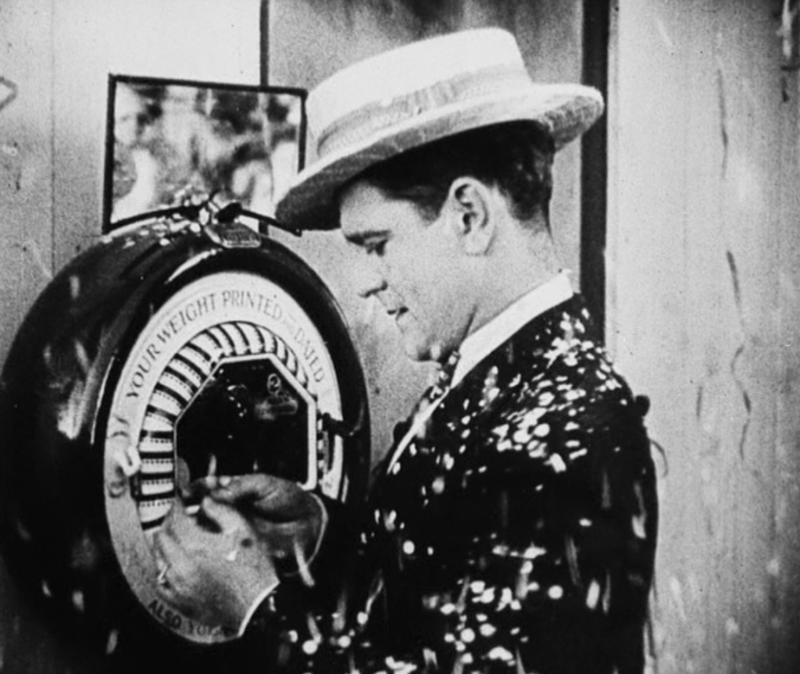 This massive disruption isn?t like flipping a switch?movies weren?t silent one day and sound films as we know them?the next. ?The Jazz Singer?is a ?talking picture? : mostly a silent movie with several dialogue and musical sequences, and Warners didn?t open its first ALL-TALKING picture,?Lights of New York,?until July of 1928.?Lonesome?was already finished, but suddenly Universal decided they?d better get with the program, so Fejos was ordered to add a musical and sound effects track as well as several dialogue sequences, to be shot with a Fox Movietone camera. 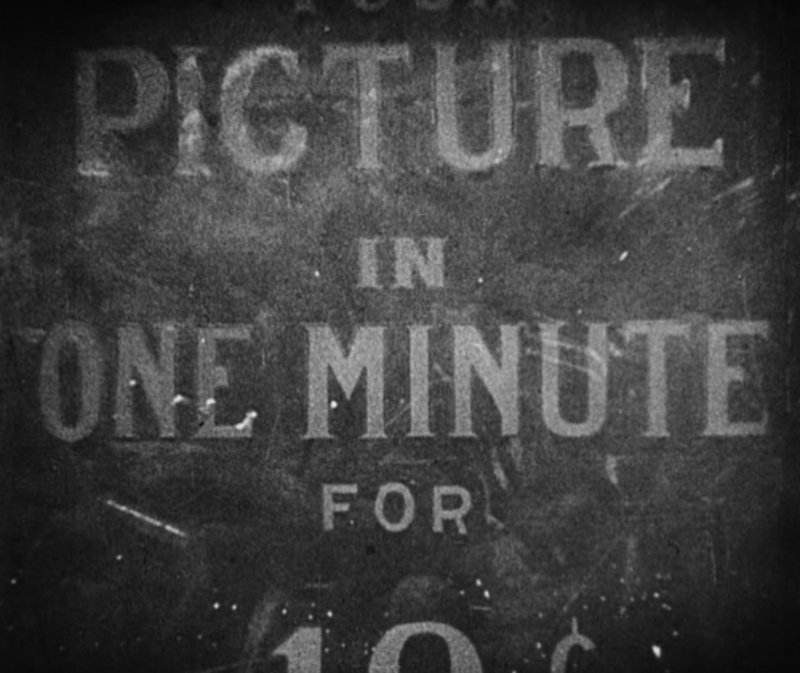 Unlike Vitaphone, which recorded sound on a record to be synchronized to the film, Movietone recorded the sound and image on a single piece of film. Lonesome?is an experimental art movie released by Universal, an unlikely incubator for such a venture. 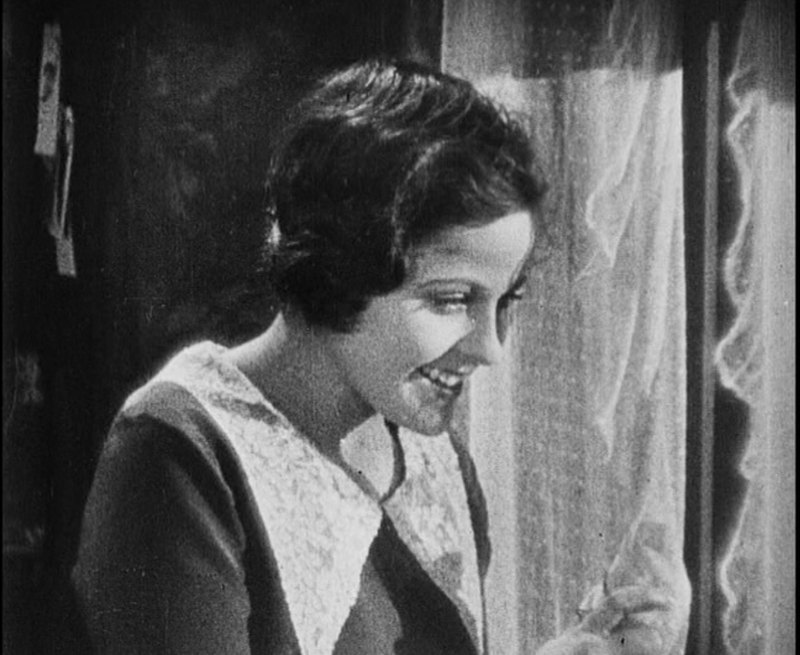 But studio head Carl Laemmle had recently lost his production genius Irving Thalberg, who had gone into business with Louis B. Mayer at MGM, and now Uncle Carl?s 19-year-old son Carl Jr. (hereafter referred to as Junior) was anxious to step into Thalberg?s shoes and prove himself to his old man while also transforming the studio his pops had built. So this Fejos guy, what was his story? And how did he come to make this utterly winning little gem? Fejos had studied medicine in Hungary, served in World War I, and worked in theater before finding his way into the movies. He directed seven features in Hungary, all lost, but nothing indicates they were anything but straightforward treatments of literary themes. 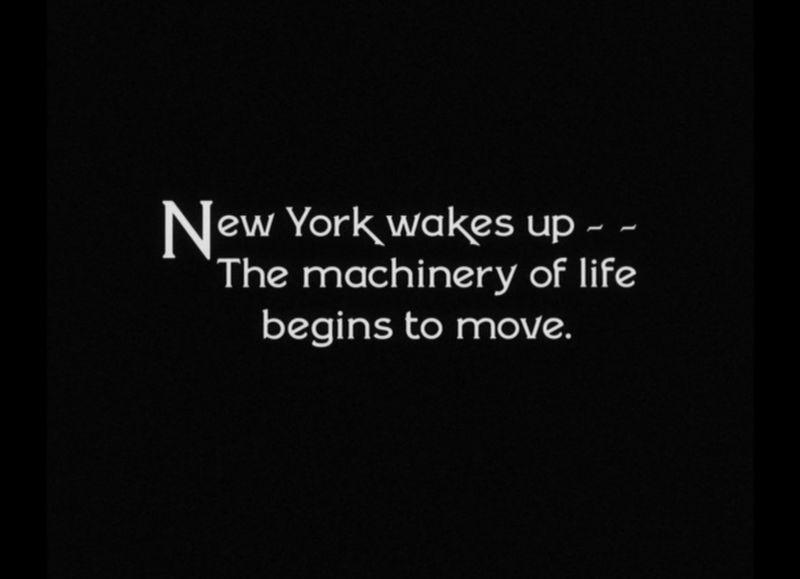 Then in 1923, after spending some time in Paris and Berlin, he moves to New York, not speaking a lick of English. He manages to find a job as an assistant researcher at the Rockefeller Foundation, which he said he enjoyed very much. Other than that he worked on his English, saved his dough, and went to as many movies as possible. 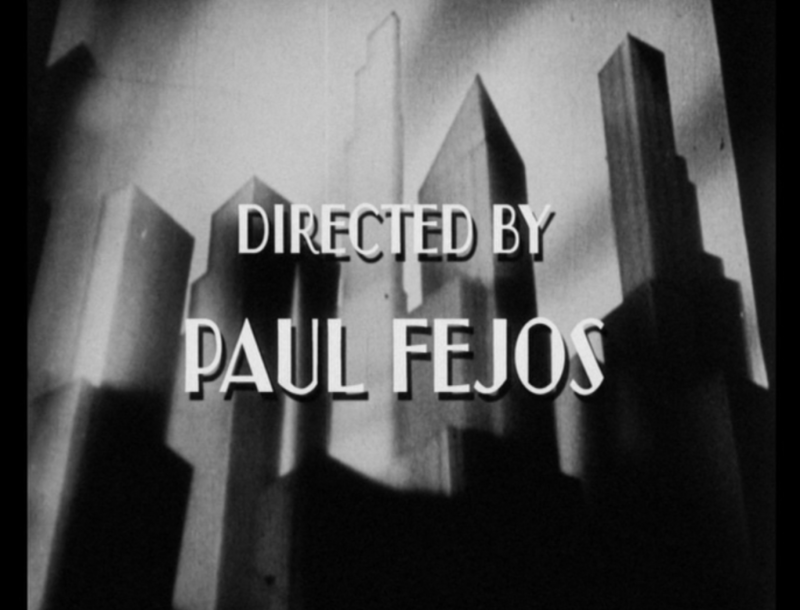 The question is, how and when was?Fejos transformed from an ordinary journeyman director to a?visionary with a mastery of a dazzling array of visual techniques that make?Lonesome?look like no other movie? 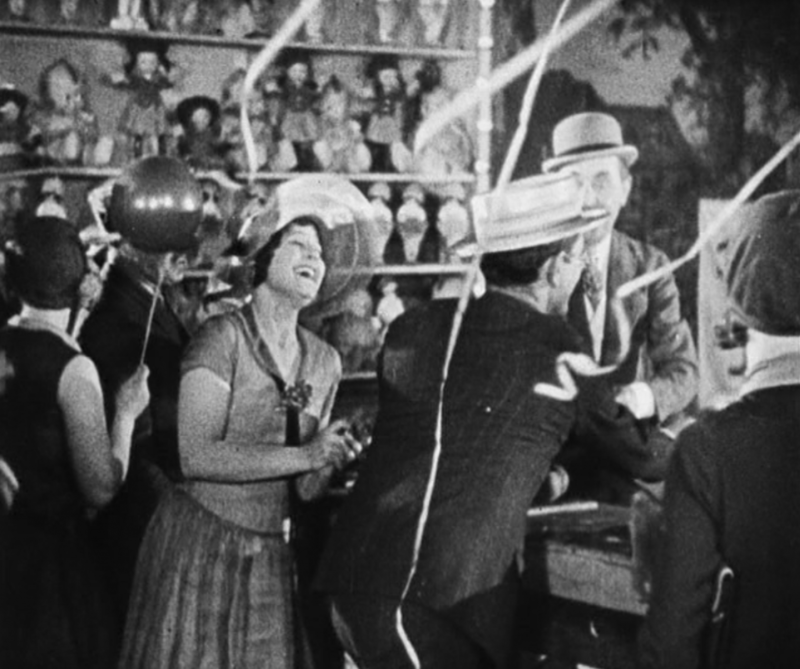 We?ll never know for sure, but historians point to the opening, in Fejos?s last months in the city, of the Cameo, a theater on 42nd Street that was being programmed by the International Film Arts Guild. 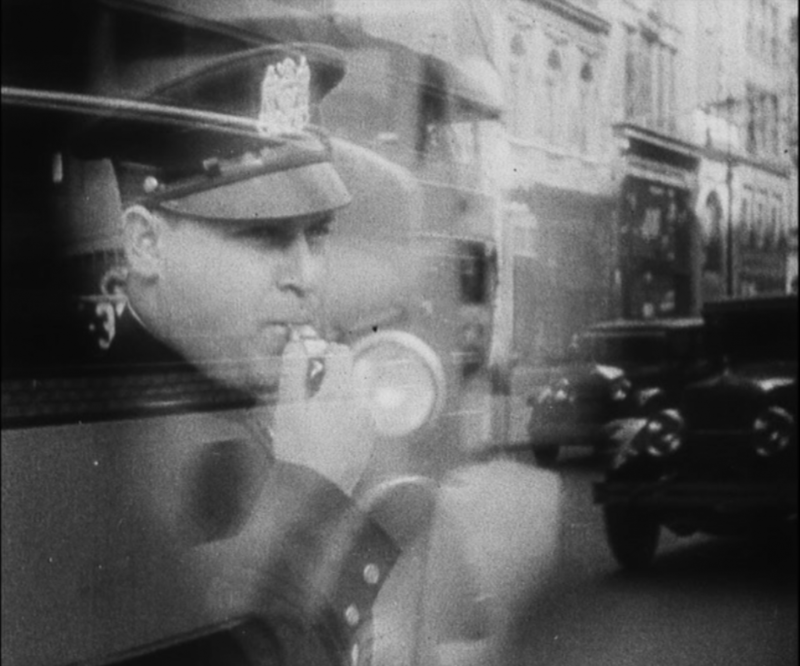 In February and March, Fejos might have seen Paul Strand?s and Charles Sheeler?s art documentary?Manhatta?as well as European art movies by Lupu Pick, which Antonioni cited as influences in his 1940 essay on?Lonesome. Fejos and Junior decided not to shoot?Lonesome?in New York, which they could have done?several other Universal movies that same year were shot in the city. but Fejos wasn?t interested in depicting the actual city but a dream city, an impressionistic place without fixed geography. The subway sequence is impressive in its conjuring of rush hour, the massive throngs shoehorning themselves into the cars, the smells of other riders? food. 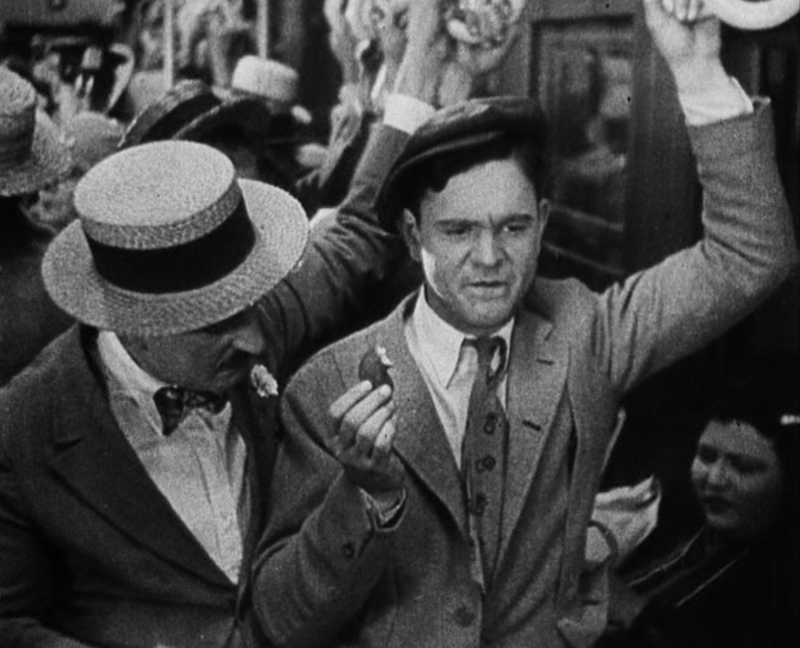 But it was physically impossible to shoot from inside a subway car, so?Lonesome?shot its subway scenes on a soundstage. 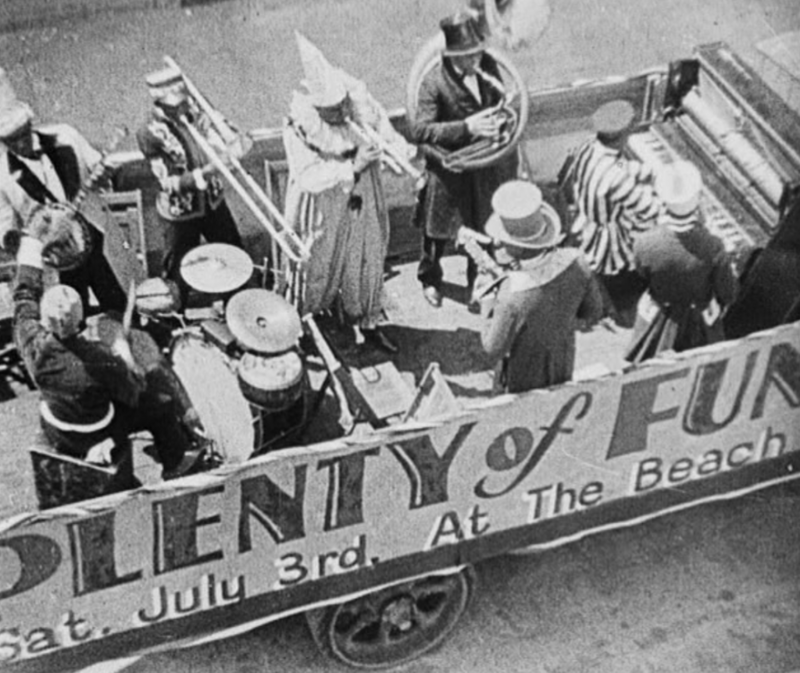 And while stock footage of Luna Park introduces the midway section of the movie, it was actually Venice, ?the Coney Island of the Pacific coast,? as Universal put it in?Loneome?s press book. But even though the filmmakers never set foot in New York, Fejos and his colleagues create a sense of place, a New York energy, that I think Fejos knew well from his years of living there. That relentless, breathless quality is everywhere in?Lonesome, from the workplace to the commute and even to recreation. In Fejos?s Coney Island the beach is not a place of relaxation but just a different location for constant, energetic movement. 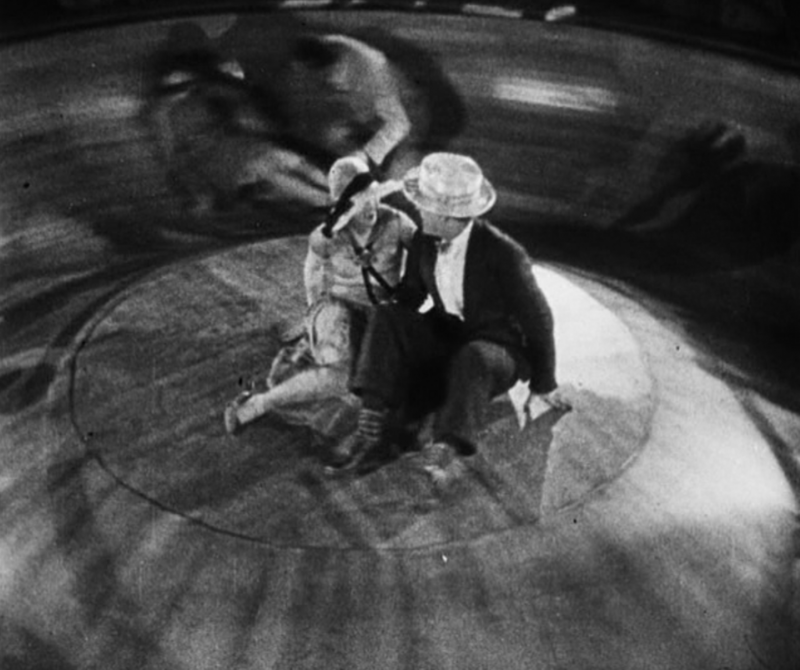 The soundtrack on Criterion?s releases, with both music and sound effects, is the one Universal recorded on the film. Fejos supervised its making, and it matches the movie?s visual innovation. 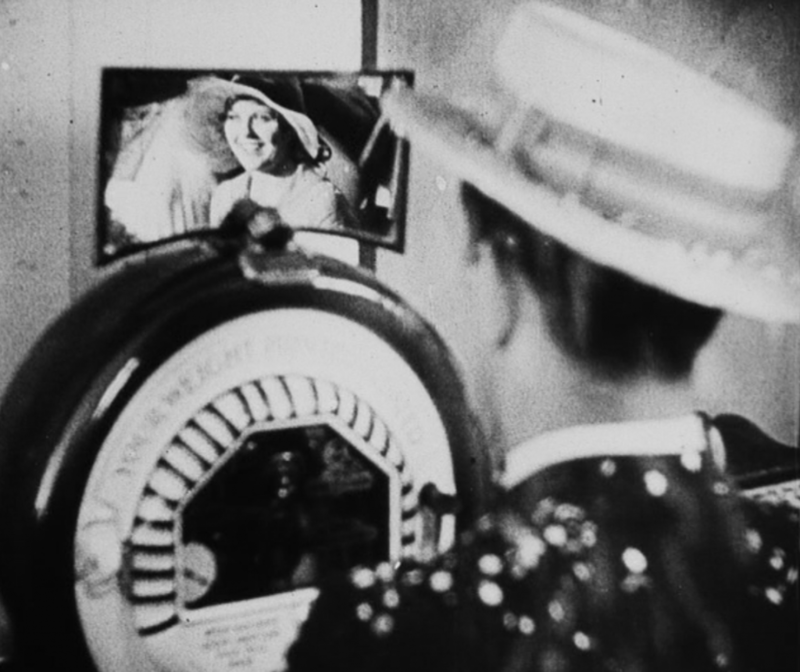 At that moment, when sound on film was about one year old and the first all-talking picture had just premiered, Fejos used a variety of music and sounds?the jazz band on the flat-bed truck, the crowd, the dance band in the ballroom, the storm, Jim?s record player?that was extremely sophisticated for its time. 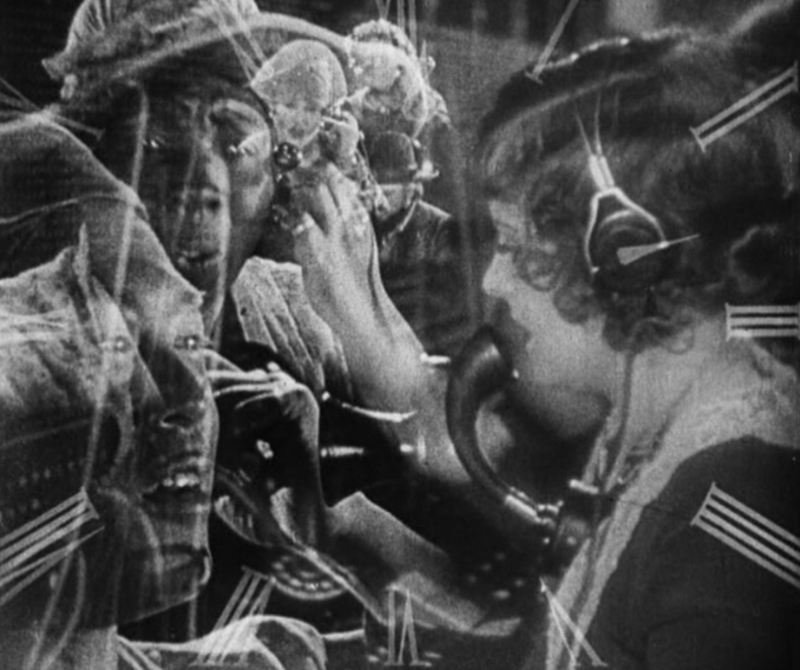 Theaters were still very much in transition into sound, and in September of 1928, when?Lonesome?premiered on Broadway, most of the country?s theaters were not yet wired for sound. 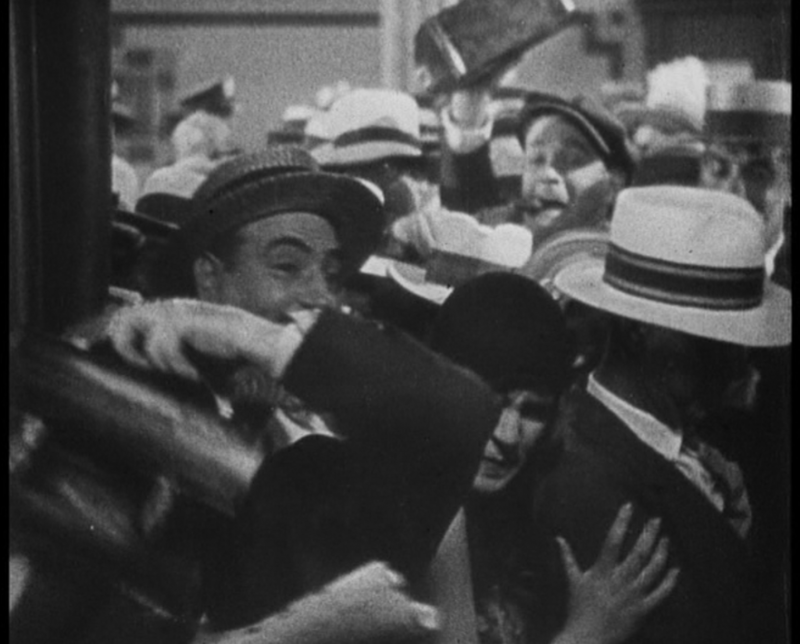 Fejos had a cue sheet made up for theaters without amplification so that their orchestras could make the sound effects live during screenings. A word about the three dialogue scenes: They have always been the critics? bane in otherwise strongly positive reviews. Yes, they are jarring. 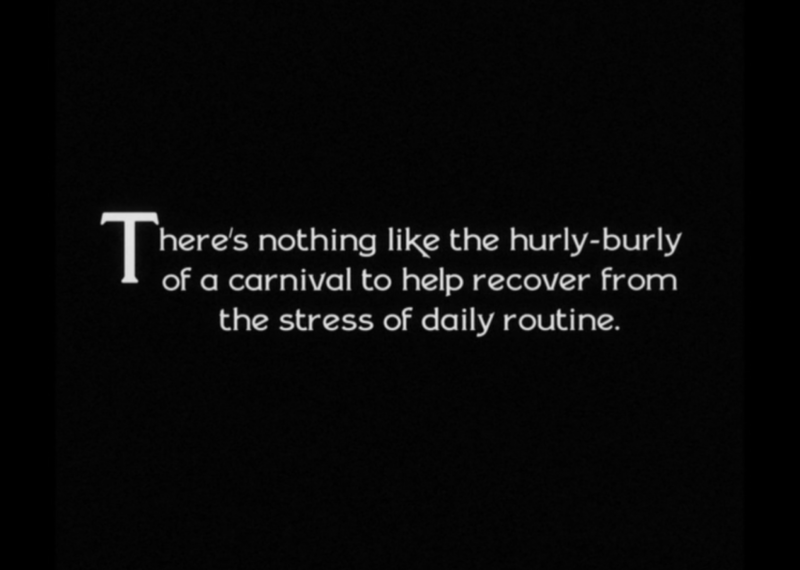 Yes, they disrupt the flow of the film. Yes, the lines aren?t particularly clever and the acoustics are peculiar, particularly in the second scene between Jim and Mary, with its strange echo. It sounds like we?re in an empty warehouse, not at the beach. But that seems like a trifle, given everything Fejos managed to get up on that screen at one of the movies? most awkward moments. You don?t need to know any of this to love?Lonesome. I first heard about it from my mom, who had seen it some years ago and was totally captivated. It was a long time before I got to fall for it, too, but it?s a treasure. The first machine of the day: the alarm clock. One of Fejos?s optical printer shots, which allowed him to slide images into each other, crowding the frame with information. In?Lonesome?the workday is a blur of tasks, no time to think, much less to connect with coworkers. If you?re interested,?Lonesome?has plenty of social?commentary. If you?re not, it?s done with such a light touch that it won?t bother you. Fejos depicts urban life as all noise and movement, a constant rush that eliminates any possibility of hearing yourself think much less connecting with the people all around you. Jim has finally caught up with Mary, and he?s still feeling uncertain. But that smile? The beach is deserted, they don?t even notice that they?re alone? Technicolor had already been used successfully, Technicolor requires a lot of light and a lot of Lonesome is set at night. So?Lonesome?had to be colored by hand or with an older, mechanical process. The surviving print of Lonesome came from France, and it would have been colored there. Only a limited number of first-run prints would be colored at all, and the color would vary from print to print. 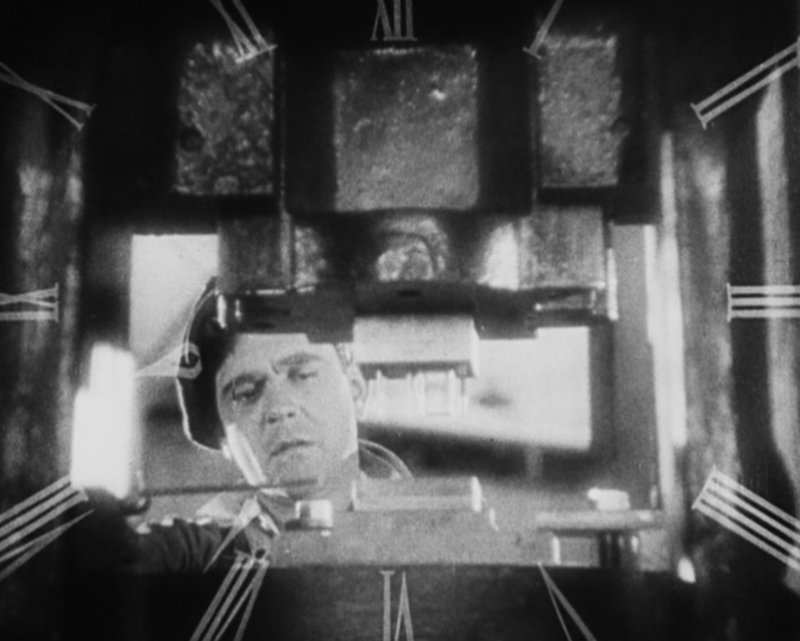 I?m still learning how little standardization, how much variability, was involved in filmmaking in the silent era. Frame rates, too, varied not just from one film to the next but from one scene to another. The second and most reviled of the dialogue scenes, and it is the clunkiest and most jarring. The extreme awkwardness and artificiality of the background and the weird echo in the acoustics emphasize how far sound had to go before it could be used naturalistically. 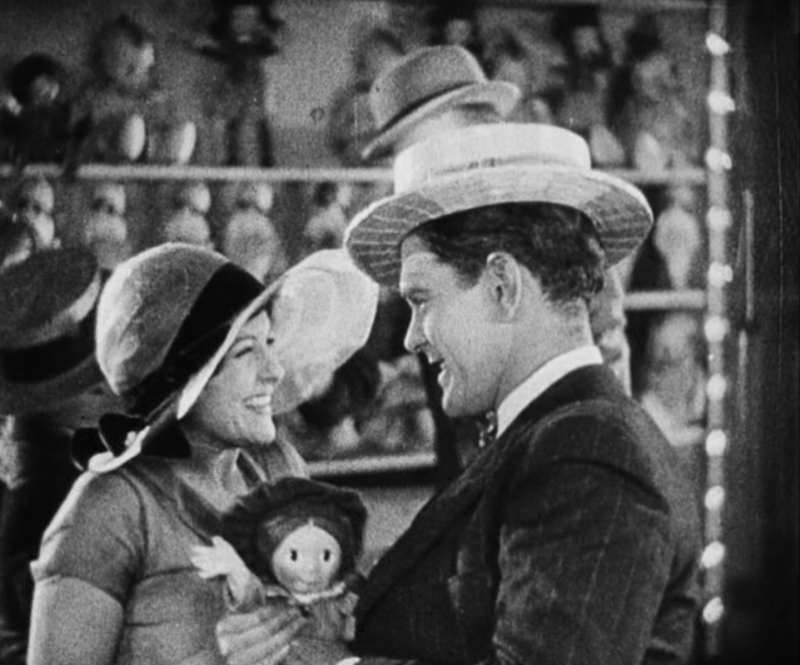 Lonesome is a perfect example of the fluency of mature silent film and the primitiveness of early sound. The gorgeous sunset is both an impressionistic rendering of how Jim and Mary feel and a comment on the false romantic narratives Fejos saw American popular culture dispensing to working people. It is charming though, isn?t it? 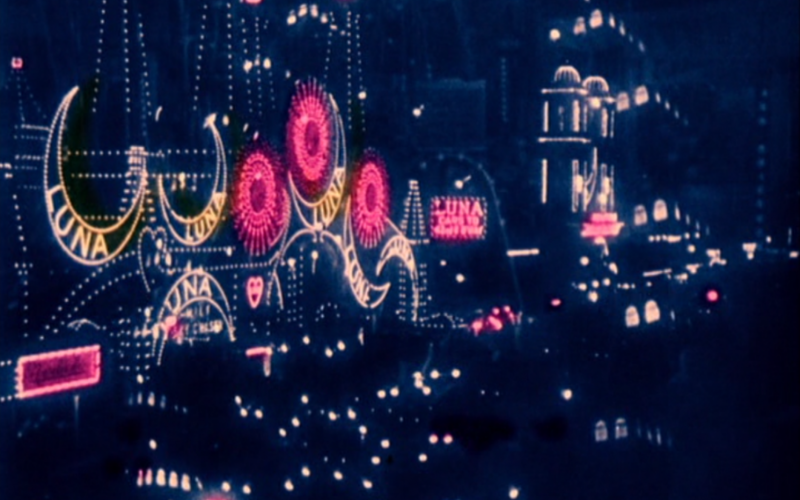 Establishing shot: Luna Park, which I have visited so often in fantasy. 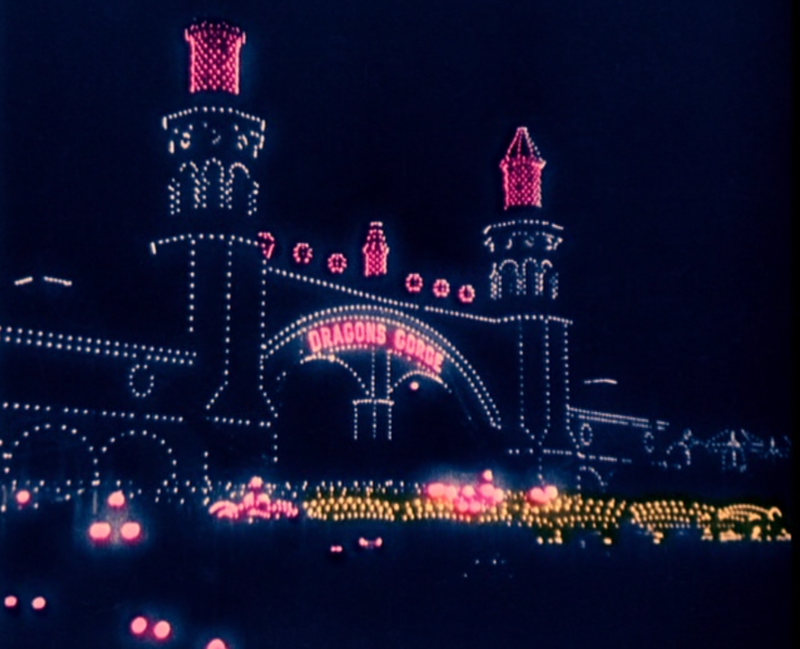 Freud, though, went to Dreamland, the other park at Coney?true story. Irving Berlin?s ?Always,? charming though it is, was not plucked from Universal?s music holdings in the traditional fashion. They paid for the rights?it had to be this song, and it had to fit the way the film is edited exactly. Fejos put the lyrics on the screen to intensify the audience?s identification with the song, which everyone would have remembered from when it was a hit a few years before. 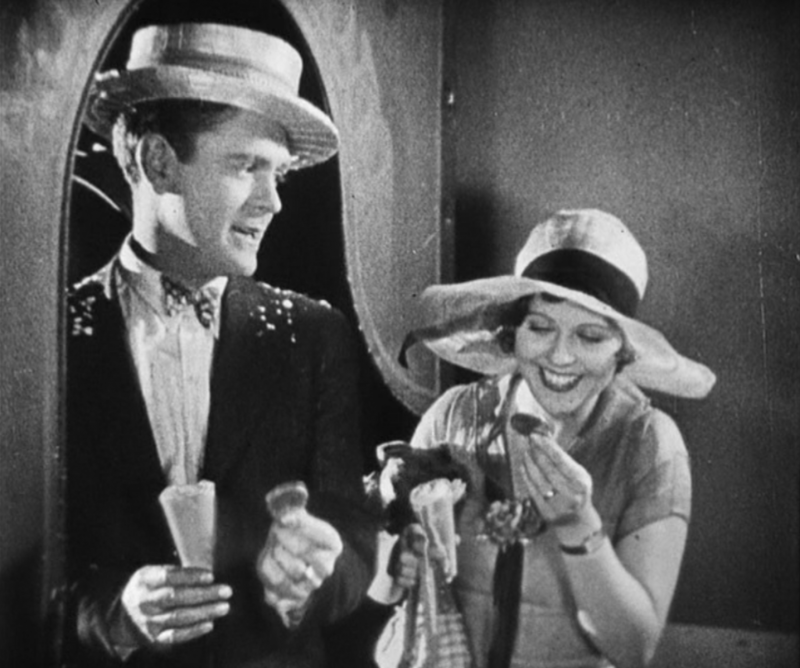 Jim thrills Mary, and about time?he needs to display some masculine mastery, and she?s eating it up.